Our Bat Black Lipstick is specially formulated so that it goes on thick and smooth without wearing off like some of the more expensive brands. 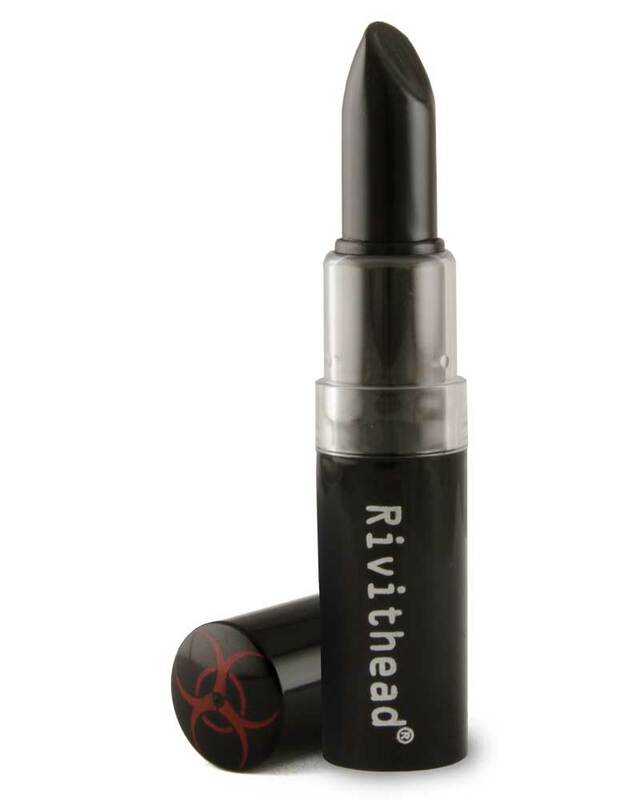 It is made in the USA, animal friendly, cruelty free, and can only be found at Rivithead Cosmetics. Some may say there is no blacker than Black but when it comes to our special formula we have to disagree. Our black lipstick will have you smiling throughout the night and into the wee hours of the morning but it will last all day as well. I was pleased with the fast shipping and the color of the lipstick, but I was disappointed in the fact that this lipstick was not matte. I wanted something long-lasting that I could wear on the floor at work (I work at Hot Topic, so retail and customer service) and not have to go to the back and reapply frequently. While this lipstick looks okay after a couple of hours, I definitely needed to reapply it several times. 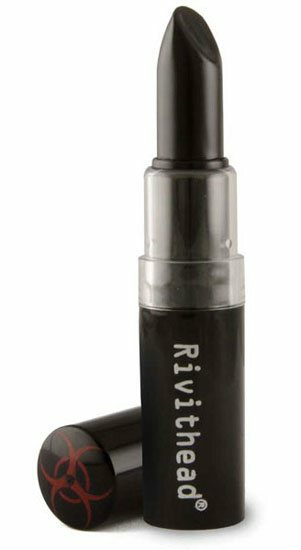 I bought this after looking at an article recommending inexpensive matte black lipstick, so I was disappointed in terms of that, but otherwise, it's a pretty great product. This product arrived very quickly in the mail and the package was as expected, just love the design. The lipstick itself is very creamy and buildable. I think it would work best with a lip pencil to get a really clearly defined edge and I had hoped it would be a little longer wearing, but it doesn't dry the lips and is very comfortable on the skin. It's a nice deep black, and it goes on smooth, but it broke inside the tube and is hard to use now.